Thank you for your interest in Midtown Endodontics, P.C. 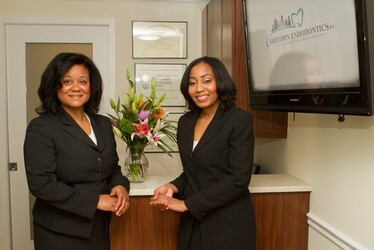 Our expert team, led by respected endodontic specialists Dr. Karen Gear & Dr. Chanelle Small and our experienced clinical staff provide the highest standard of professional care in a friendly, comfortable environment. This website is designed with patients and referring doctors in mind. Patients have the ability to complete the online patient registration prior to the appointment. Our website offers referring doctors the ability to view and update patient information online at their own convenience. Please take a moment to discover more about our services, dental team, and how we put your care first. We are grateful that you have entrusted your confidence in our office and staff. Thank you for giving us the opportunity to treat you as a patient. We are conveniently located 2 blocks south of Grand Central Terminal, accessible by the 4, 5, 6, 7 and S trains and Metro North Commuter Railroad. Our entrance is on East 40th Street.